As far as I remember it was not too way back but only 2008 when upon searching something on the Web, I was redirected to a website full of irrelevant content.The webmaster just populated the website with keywords, and there was actually no information.What surprised me was that website was ranking at the top of SERP on the keyword I entered on Google search bar.Perhaps those were the golden days of search engine optimizers who don’t want to work hard but play with tricks. 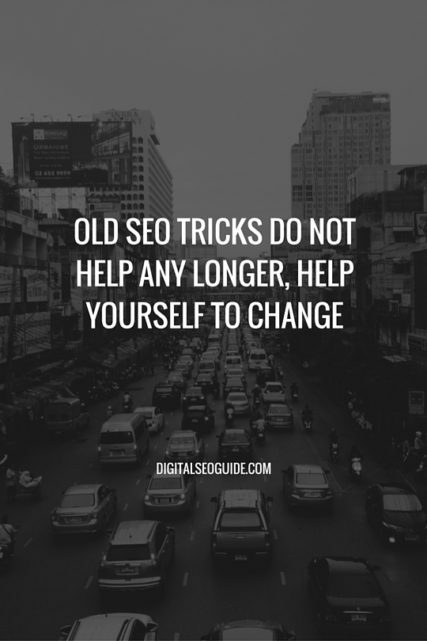 Just when they were too busy investing more such tricks – Google changed itself and the rest is history.Old SEO tricks and black hat SEO don’t help anymore.You need to be very much innovative, and idea-oriented to impress Google, and using any tricks to trick search engine result in blocking. With this blog, we are trying to cover some of the very basic SEO rules you need to use these days to get the improved range of profitable work from Google and other search engines. Write great content that gets you results.Bad content can make your website worse.It is perhaps the single most factor in ensuring your content gets values and benefits. Write unique content.Do not copy and paste content.If Google sees you have copied content from other websites, it can penalize you for your efforts. Add new content every time.The more updated your content is, more you can get top range SERP. Create a list of the keyword phrase.Work on the list and cover content based on the keywords. Choose keyword phrase that is popular but leaves outdated or competitive keywords. Ensure that your website is searchable by Google. Get a domain name with keywords. Set keyword phrases in headlines. Ask people to high PR sites to link to your website. Try to get the link from high PR sites. Use a redirect to this page for pages that redirects. Use keyword oriented campaign on social media. The proper ideas that you need to count on are to plan your website before you actually make your SEO.A good SEO campaign needs to count on some of the very basic to advanced SEO tips so that before you act on it, you can actually have a set of improved ideas to work on. Before working out with an SEO campaign just try to follow the following rules.If you stick to the rules and credit your website to the proper mechanism, chances are you can easily and effortlessly pull up on search engine ranking results.Read on SEO tips, tricks! The proper way to get proper benefit from a search engine ranking result is to ensure that you work around some of the vital concepts. Before jumping on your website campaign, ensure that you know your target audience and that you have researched about their credibility. Do not just work around on anything. Take your time, plan accordingly and set aside doing your work online.Try to write an improved variety of content. Try to write an improved variety of content. A target audience is an audience you want to write your website for.You need to understand who your target audience is and what interests them, how to pull in on your website and what to do to get your website at the top of search engine ranking.Before you work with the key facts to get added search engine result it is important for you to understand how to get audience attention. Once your target audience is known you can then take in on some of the improved forms of a ranking solution by optimizing your website to the ranking results.Before you work around, ensure to know which kind of keywords you select. One target audience and keywords are defined, you can begin to your SEO campaign.The tips and tricks to improve your website depend on how you work it. There are many other ways too.Which we will cover in next SEO tips and tricks article.Meanwhile, take your time reading another set of information to get your website listed in proper search engines.